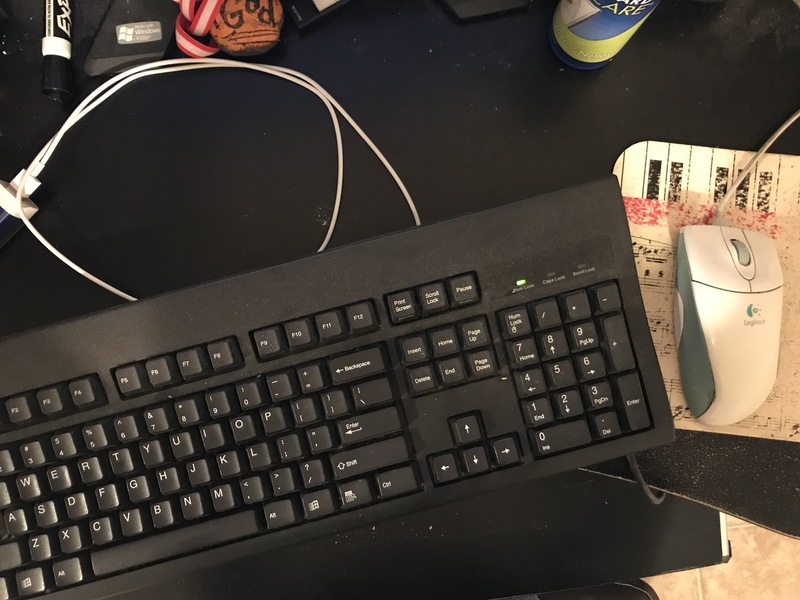 This is going to sound morbid…at least that’s everyone’s response when I tell them why I decided to take my blog “next level” (yes, I’m laughing at MYSELF as I type that!) I wanted to make sure that my kiddos knew the stories behind our Christmas traditions and, narcissistically, I wanted to make sure they heard them in my voice…FOR ALL TIME. I mean, that’s the kind of loving mother that I am after all. Readers who know me, often say that they can “hear” my sense of humor when they read my posts. My close friends laugh at the snide little inside jokes and hints that I drop in my writing. My family likes to point out that I can’t hide my snark (that’s up for debate as far as I’m concerned.) Still, as a former broadcaster, I know that tone and inflection add that something extra to a story. A simple pause, deliberate whisper, or a mere lilt goes a long way. In this age of text messaging and Twitter, the spoken word’s value goes up tenfold. Thus, the podcast. I’m a big believer in the podcast. I have several favorites. Everything from news, politics and pop culture to social media theory and all things NPR. It’s storytelling magic and I’m always surprised (sometimes pleasantly and other times not so much) to put a voice with a name. According to Forbes magazine, at least 112 million Americans have listened to podcasts…and that number continues to grow. A constantly connected culture, we can listen in our homes, cars, at the gym and beyond! Let’s be real. Truly excellent and iconic writers…we’re talking the BIG NAMES, let their words speak for themselves, but some of us (like me) could use a little help sometimes. Connecting with an audience is a core principle of writing…and thanks to the podcast, it’s never been easier to solidify that relationship. Besides, even Shakespeare would have jumped at the opportunity to create a podcast. Writers are so vain. 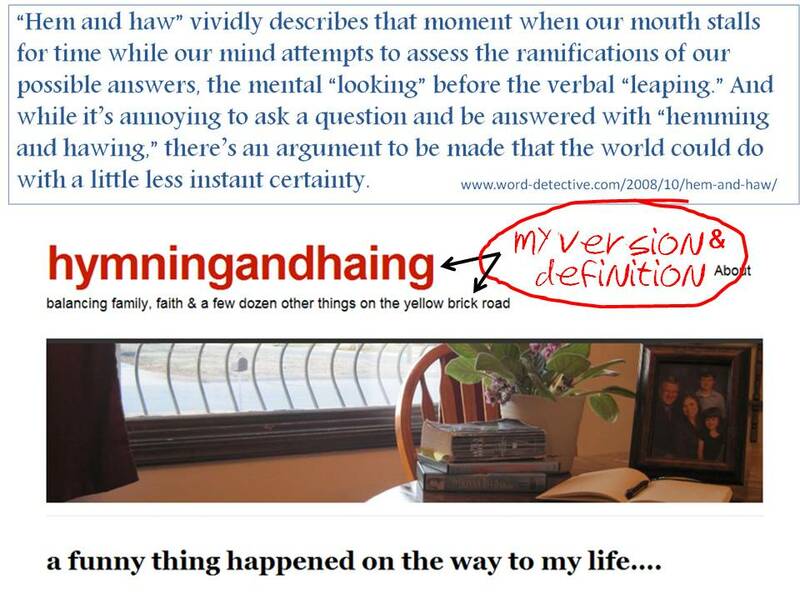 BIG THANKS to those of you who have been following my blog, hymningandhaing.com. 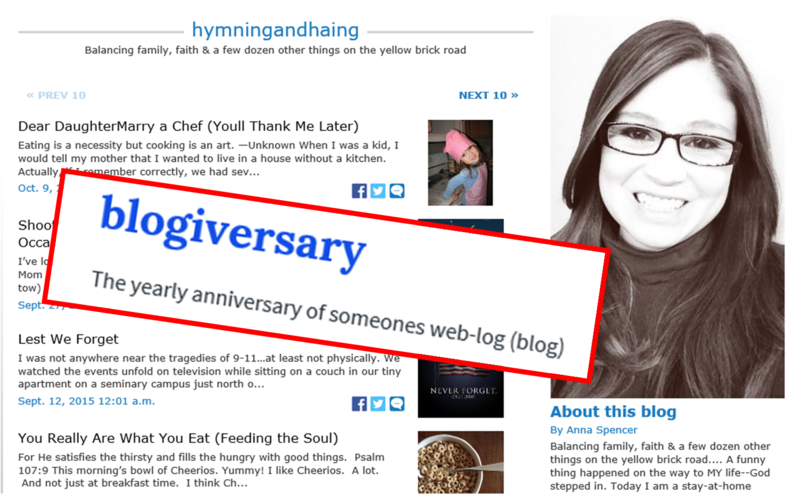 As my blog enters its fifth year, I am proud of the 83 posts I have penned to date and the positive feedback that I have received—it fuels my desire to write more! I am grateful for the fun comments, insights, post shares and encouraging words that you have offered throughout my blogging endeavor. I look forward to 2016 and all the writing opportunities it will bring!